The event will provide an opportunity for a multi-stakeholder discussion on Open Education in the context of the 10th Anniversary of the Cape Town Declaration. We hope that the spirit and recommendations from the Declaration can support the UNESCO policy process. Reflecting on the 10th anniversary of the Cape Town Declaration and what’s next. 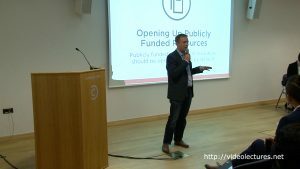 Copyright Reform for Education, author: Jan Gondol, Switzerlab, s.r.o. 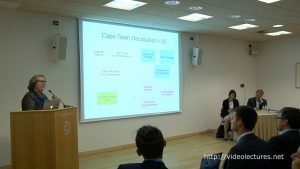 Ten years ago, a group of education leaders gathered in Cape Town to draft what became the Cape Town Declaration, articulating a vision for a global revolution in education. 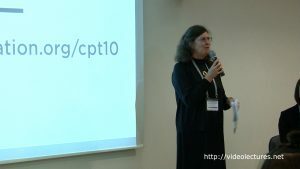 This year, the CPT+10 initiative has looked back at how far Open Education has come, and identified 10 key themes for the movement to prioritize in the next decade, and specific action steps for a wide variety of stakeholders. It is appropriate that this anniversary event happen alongside the UNESCO World OER Congress, on the five year anniversary of the equally significant Paris OER Declaration. This event is designed to be complementary and supportive of UNESCO’s own set of recommendations. This event will welcome all attendees of the OER Congress to join OER stakeholders from around the world for a discussion about the 10 themes that represent big ideas for Open Education in the next decade. The workshop will be led by a group of policy experts and activists from around the world, including participants at the 2007 and 2017 meetings in Cape Town that led to the Declaration and new recommendations. 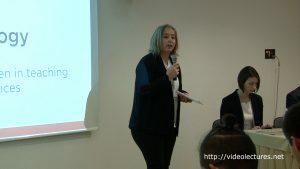 It is organized by organizations from Brasil, Poland and United States, with participation by speakers from Canada, Chile, Colombia, Czech Republic, Germany, Portugal, Senegal, Slovakia (among others). CENTRUM CYFROWE works towards social change and enhancing citizens’ participation through the use of digital technologies and open, cooperative models based on sharing knowledge and other resources. The basis for all of our work and projects is the idea of openness which means the availability of resources and promoting models of cooperation based on them. We focus on open and digital education, open heritage, and digital skills. EDUCADIGITAL INSTITUTE is a non-profit organization that is a world reference when it comes to innovative projects in the pedagogical use of digital technologies, inside schools and out. The institute works in partnership with schools and social, business, and government organizations in creating, executing, and developing projects for children, young people, and adults. It is one of the supporting organizations of the OER Brazil project. SPARC is a global coalition committed to making Open the default for research and education. As a catalyst for action, SPARC works to promote the open sharing of research outputs and educational materials in order to democratize access to knowledge, accelerate discovery, and increase the return on our investment in research and education. 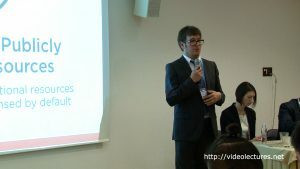 Dr. Alek Tarkowski: Sociologist, copyright reform advocate and researcher of digital society. Co-founder and President of Centrum Cyfrowe Foundation, a think-and-do tank building a digital civic society in Poland. 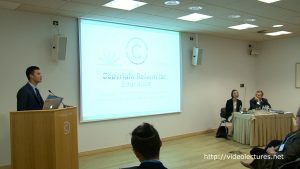 Public Lead of Creative Commons Poland and European Policy Fellow with the Creative Commons organization. 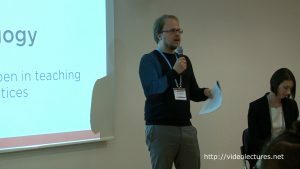 Co-founder of Communia, a European advocacy association supporting the digital public domain, and of the Polish Coalition for Open Education (KOED). Formerly member of the Polish Board of Digitisation, an advisory body to the Minister of Digitisation (2011-2016), and member of the Board of Strategic Advisors to the Prime Minister of Poland (2008-2011), responsible for issues related to the development of digital society. Policy expert on open content and copyright policies, open and digital education, and digital skills. 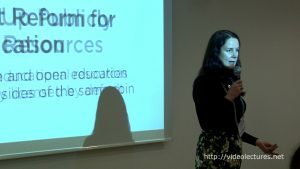 Nicole Allen: Nicole Allen is the Director of Open Education for SPARC, a global coalition dedicated to making open the default for research and education. 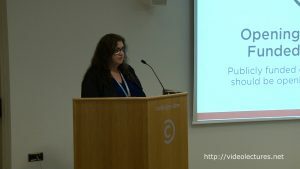 Nicole is an internationally recognized expert and leading voice in the North American movement for open education, and works to advance this issue both through policy advocacy and grassroots organizing in the academic library community. Starting during her own days as a student a decade ago, Nicole has worked tirelessly to advance openness in research and education. She has been widely cited in the media and has given hundreds of talks and trainings in more than a dozen countries on open education, open policy, and grassroots advocacy. Priscila Gonsales: Priscila is executive director of Educadigital Institute and an Ashoka fellow since 2013, and is dedicated to improving the quality in public education. Educadigital Institute (www.educadigital.org.br) is focused in developing and managing projects that aim to integrate the digital culture into educational spaces, using OER and Design Thinking for Educators.